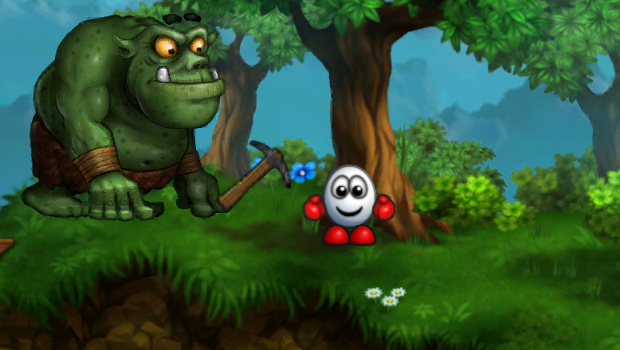 Seems the "eggciting" Dizzy adventure promised yesterday isn't very eggciting at all, with Codemasters revealing that the egg's grand return will actually be a remake of Dizzy: Prince of the Yolkfolk on iOS devices and Android. I am sure we all had a cynical eggspectation it'd be something like this. Codemasters poked fun at the disappointment with a preemptive jab in its press release, stating, "The game will not, unfortunately, be available on Eggsbox." The game releases December 9, a day dubbed "Eggmergence Day." At the very least, the new graphics look eggceptionally eggsquisite. The fact it got quite a grand little reveal trailer and hype led me to hope it'd be something a bit more eggsemplary, but I guess that was too much to ask for a mascot that hasn't been eggshumed in almost 20 years. As it's the first game I ever bought in a store, I have a lot of fondness for Prince of the Yolkfolk. Still, it's a shame that Dizzy is not "back" like Codemasters said. Looks like we got eggrolled. Filed under... #Android #Codemasters #iOS #iPad #iPhone #iPod #Mobile gaming #Puzzle Games #Seriously?